Don’t you think it’s about time to get back to your roots?…root vegetables that is. And winter is the perfect season to do so. 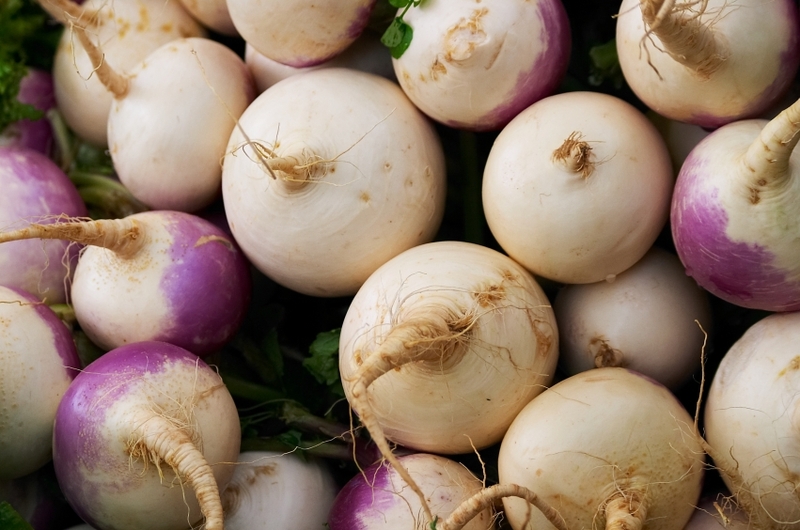 Being that turnips (and their greens) are packed with all sorts of vitamins and nutrients this hearty veg will keep you happy and healthy all cold & flu season long. We’ve been eying these curious red and white bulbs in the produce section…it’s about time we picked up a few. Check back next week and see what we’ve cooked up! This entry was posted in Turnips. Bookmark the permalink.